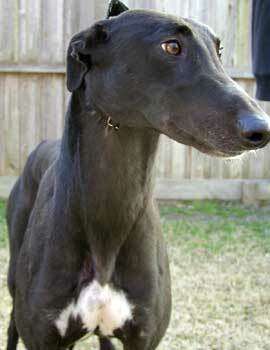 Captain, aka Slap Me Silly, is a magnificent 2-year-old black male, born January 5, 2002. His sire is Peek Aboo BigBoy, his dam is I'll Say She Can, and his grand sire is Wigwam Wag. 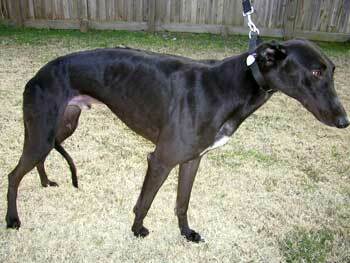 Captain is racing for his retirement couch after running two races at Valley Race Park in November and December 2003! He has one of the most luscious black coats, and a regal posture. He is a big boy! Captain is affectionate with a sweet spirit. It is not known at this time if Captain is small animal or cat tolerant.